The Benefit Concert for Living Water Unity has been postponed. 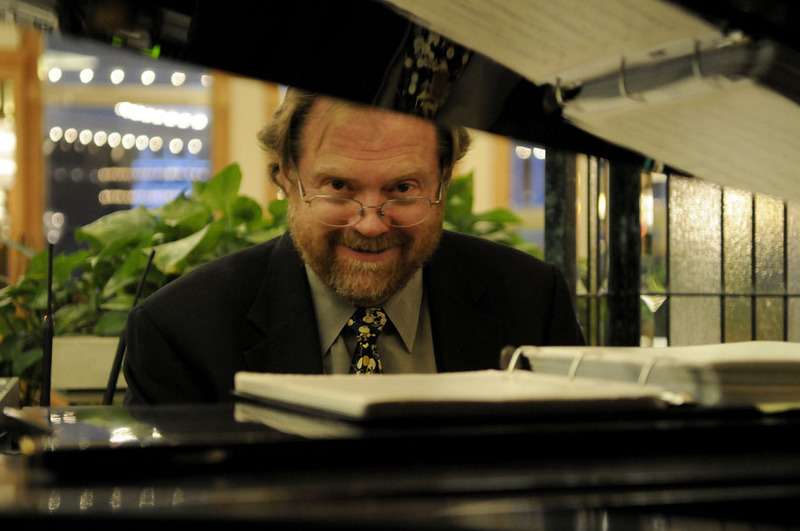 Doug Roche has over 40 years of experience as a freelance Jazz pianist. He currently resides in the Denver area, performing with many of Denver’s finest musicians. He is a member of the Denver Jazz Quartet, and PoeJazz (a blend of Jazz and Poetry). Doug likes to stay active in Jazz education. He teaches jazz piano and theory privately at his “Studio By The Lake”. He taught on the faculty of CCJA (Colorado Conservatory for the JazzArts), working with High School kids in Jazz combos. Born in Wilmington, Delaware in 1953, he developed an early interest in music. At the age of 15, he formed his own jazz trio. During his high school years, he studied with Bobby Timmons and Herbie Hancock at the Wilmington Music School. After High School he served in the Navy Band for 4 years, then on to study music at North Texas State University. Taking a break from his college years, he had the opportunity to “see the world”, touring nationally with Jesse Lopez, then internationally for two and a half years with the popular singing group The Lettermen. After getting “the road” out of his system, he returned to NTSU for a year then moved to Denver in ‘84. From 1986 -1988, he played the exclusive Moulin Rouge room at the Denver Fairmont Hotel backing such national acts as Kenny Rankin, The Mills Brothers, The Modernaires, Lanie Kazan, and Johnny Otis. Other credits include Carol Lawrence and Red Skelton. Doug lived in the San Francisco Bay area from 1988 to 1990, performing with the Full Faith & Credit Big Band. In 1990 he returned to the Denver area and was the house pianist at the internationally recognized Denver jazz club, El Chapultepec. There he performed with a cavalcade of jazz icons, including Joe Farrell, Nick Brignola, Teddy Edwards, Buddy De Franco, Terry Gibbs, Red Holloway, Eddie Harris, Richie Cole, Bobby Shew, Lew Tabakin, and Pete Candoli. Roche performed at the Telluride Jazz Celebration in 1993 with vocalist Roseanna Vitro (which was broadcast on NPR), and in 1996 with Giacamo Gates. In 1993 he honed his blues skills with Denver’s own James Van Buren, on James’s CD-“Live at Littleton Town Hall”. In the spring of 1995, Roche was on stage in the Denver Center Theatre production, “It Ain’t Nothin’ But The Blues” as pianist and later as assistant musical director when the show ran at the Cleveland Playhouse that fall, in conjunction with the opening of the Rock and Roll Hall of Fame. In Oct. of 2003, Doug performed with the Denver Jazz Quartet at the 25th anniversary of the Queenstown Jazz Festival in New Zealand.